Situation: Faced with relentless price undercutting by Chinese producers, the U.S. hardwood plywood industry was experiencing large losses in its market share and dwindling profits. To combat this unfair competition, Wiley Rein brought a trade case, which required us to find dumping margins against China that reflected their low prices. The Chinese exporters countered by submitting data that resulted in zero percent margins. We needed a data-driven strategy to counter their abnormally low costs. Solution: Wiley Rein’s Trade Analytics Group’s (TAG) extensive research uncovered an affiliation with U.S. importers complicit in the price undercutting for one respondent. At the preliminary determination, Commerce assigned this company the petition rate of 82 percent for not accurately explaining its corporate affiliation. However, Commerce preliminarily calculated a zero percent margin for the other company being investigated based on abnormally low log input prices. As a result of TAG’s data-based analysis, Wiley was able to develop and argue for the adoption of an “intermediate input methodology” – a seldom used practice – to discredit those low inputs and establish the value hardwood plywood starting with the veneer inputs. Result: Our data-driven strategy resulted in final margins of 183.36 percent for all Chinese producers and stimulated a resurgence of the U.S. industry. 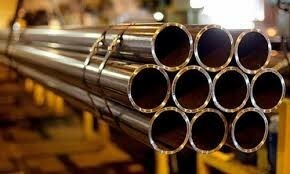 Situation: Korean producers of oil country tubular goods were routinely receiving modest dumping margins in Commerce proceedings with minimal prospects of increasing them because of below-market-priced inputs. Solution: Through complex data analysis, Wiley Rein’s Trade Analytics Group (TAG) determined the increase in production costs necessary to bring the foreign producers’ dumping margins in line with their market prices of OCTG. 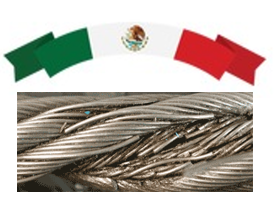 Wiley Rein used this analysis and recent change in the law with respect to the Particular Market Situation to demonstrate the level of subsidization and distortion in the Korean hot-rolled coil market. Result: For the first time, Commerce applied the Particular Market Situation provision of the law and the dumping margins increased drastically for all Korean exporters of OCTG. Wiley also successfully applied the same strategy in several other cases, including the Korean line pipe case, which increased the dumping margins by three to five times their investigation rates for all Korean exporters. Situation: In a revised submission, the respondent substantially reduced its cost of production data for many U.S. products – resulting in the drastic lowering of its dumping margin – and described the change as a “minor” correction. Solution: Wiley Rein’s Trade Analytics Group (TAG) was able to analyze the data and pinpoint the respondent’s change as a complete reallocation of scrap costs for a significant number of U.S. sales. We were also able to challenge the respondent’s claim that the change was minor by demonstrating the magnitude and scope of the revision. Result: Commerce agreed that the revised cost data was unsupported and rejected all the data submitted by the respondent. In a final ruling, Commerce applied an adverse finding to the respondent and increased its margin from 3 percent to 40 percent. 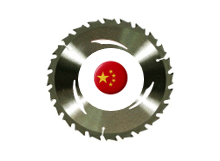 Situation: In determining the correct value to use for Chinese segments in the Diamond Sawblades circumvention case, one respondent claimed an HTS category with an extremely low value, which drastically understated the portion of production costs in China of the finished sawblade. 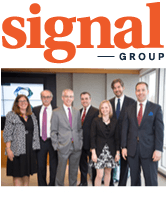 Solution: Wiley Rein’s Trade Analytics Group (TAG) conducted an extensive investigation of all the possible HTS codes. Our research found and documented that a diamond sawblade segment category existed. It turned out that the respondent’s proposed HTS category pertained just to “knives,” which it claimed was appropriate because the segments were used for cutting. Result: TAG’s research convinced Commerce to accept Wiley Rein’s HTS code classification, which was nearly four times higher. Our correct classification prevented the respondent from understating the cost of segments produced in China and was a determining reason for Commerce finding that the respondent circumvented the antidumping order on Diamond Sawblades from China. Situation: There was a short article on a local news site regarding the shut-down of an old, family-owned producer because of competition with imports from China that were priced below their raw material costs making it impossible for them to compete and resulting in the loss of U.S. manufacturing jobs in a small town. Solution: One of Wiley Rein’s partners working with Wiley Rein’s Trade Analytics Group (TAG) organized a coalition of the remaining U.S. producers to petition the government for anti-dumping duties. TAG identified the U.S. industry, which is composed of small, family-owned producers, by analyzing public bid data, reviewing construction industry publications, and conducting on-the-ground and over-the-phone interviews. Result: TAG’s research convinced the U.S. International Trade Commission that the domestic industry was materially injured by the subject imports. TAG’s analysis of public bid data was used to demonstrate specific instances where the domestic industry lost sales and revenue to the dumped imports. 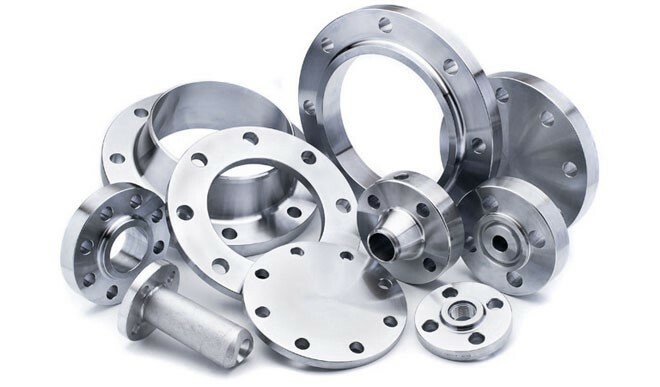 Situation: The U.S. stainless steel flange industry was suffering significant financial deterioration, declining production, depressed prices, and lost sales from unfairly traded imports. 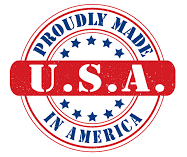 Faced with the possibility of shuttering its U.S. manufacturing facilities, the Coalition of American Flange Producers sought trade relief from dumped and subsidized imports. Solution: Wiley Rein’s Trade Analytics Group (TAG) played a critical role in bringing the cases before the U.S. International Trade Commission (ITC) and U.S. Department of Commerce (DOC). TAG performed a comprehensive pre-petition analysis, assisted in responding to agency questionnaires, and testified before the ITC. TAG’s strategic data analysis proved that low-priced imports from China and India had directly caused deteriorating production, sales, profits, and employment levels in the U.S. industry. Result: The ITC found that American manufacturers suffered material injury caused by dumped and subsidized imports from China and India. As a result, based on affirmative findings of dumping and improper subsidization by DOC, orders were issued at combined rates of up to 400%. TAG’s data-driven analysis was key in providing significant relief to the U.S. industry and its workers across the country.